Save this guide to easy day trips from Orlando for later! One of my favorite day trips from Orlando for nature, especially in winter, is Blue Spring State Park. In winter, the manatees flock to these warm waters that are home to countless other species, including the rare scrub jay. If you love wildlife, you’ll want to visit Blue Springs, which is only an hour from downtown Orlando and free to visit besides parking. One of the most special experiences at Blue Springs is to go kayaking along with these gentle animals although you should be advised that touching a manatee is a felony. It’s so magical seeing them swim through the waters underneath the Spanish moss. For a taste of Florida before Disney and oranges, head to Clermont to sample Florida’s best wineries, buy oranges directly from the growers, and enjoy a quiet day away from the crowds. Nearby Lake Louisa State Park is home to some beautiful trails and kayaking, if you’re keen on enjoying Florida’s natural swamps. Historic Clermont dates back to the post-Civil War period and is perfect for history lovers. DeLeon Springs State Park is a great destination for nature lovers. This state park is only an hour from Orlando and it’s full of trails, perfect for a relaxing day spotting birds. You can also rent a boat to explore the park’s peaceful waters prior to stopping at its famous mill restaurant to have some delicious pancakes. I only recently discovered Rainbow Springs State Park. This natural spring is very family-friendly. You can go for a relaxing swim in the park’s blue-green waters or rent a kayak for a relaxing ride through the park’s landscape. Otherwise, you can join the many locals who come here on the weekends to lounge next to the warm water after a swim. If you’re tired of theme parks and strip malls, you can head to St. Pete’s as the locals call it! St. Pete’s has a relaxed and cozy vibe that you’ll want to experience. You’ll find a lot of cool places to eat with a view, great craft beer, great murals, and fantastic coffee. The Dali Museum is here if you’re a lover of modern art although beach lovers will love the nearby white sand beaches, perfect for a relaxing end to a lovely day away from Orlando! Click for a local’s guide to St. Pete’s! One of the best day trips from Orlando for history lovers is St. Augustine. It takes about two hours to get to St. Augustine from Orlando, but it’s certainly worth taking a day trip here as St. Augustine is one of the oldest cities in the United States. Be sure to explore picturesque St. George street for charming boutique shops, antiques, and great food. Similarly, check out the Colonial district (in the same area) for a taste of what St. Augustine was like under Spanish rule. Shown above is the Lightner Museum, a very quirky museum housed in a stunning former hotel! It was first settled in 1565 when the Spanish explorers first came to Florida. You can explore the 17th century Spanish fortress, which sits on the edge of the water, as well as walk around the beautiful historic town. The Bridge of Lions with its two lions is a favorite place for sunsets! Kennedy Space Center is located in Cape Canaveral, Florida, which is about an hour drive from Orlando (you need to take a toll road, so be sure to have some cash if you don’t have a toll pass). The visitor center, located near the launch sites for the US space program, is full of attractions that teach about the history of spaceflight and aim to inspire future generations. The top two activities are visiting the space shuttle Atlantis and taking a bus tour into the restricted area of the center. When the space shuttle program ended in 2011, Atlantis was put on display at the Kennedy Space Center. The whole building is full of exhibits about the shuttle program, including a memorial to the two crews who were lost. The other must-do attraction is the bus tours that depart from the visitor center and take you past the massive Vehicle Assembly Building where rockets are put together before launch and some launchpads themselves. The 46-mile long Withlacoochee State Trail on Florida’s central Gulf Coast is a perfect day trip from bustling Orlando. This cycling path is a great way to discover a part of Florida few get to see. The former stretch of railroad track managed by the State of Florida is part of their “rails-to-trails” program, and follows the course of the Withlacoochee River from Dunnellon to Floral City on a paved recreational trail that’s perfect for hiking, biking, and skating. The trail is flat and ideal for all levels of cycling and fitness skill, and horseback riding is also available on a separate trail which parallels portions of the paved trail. 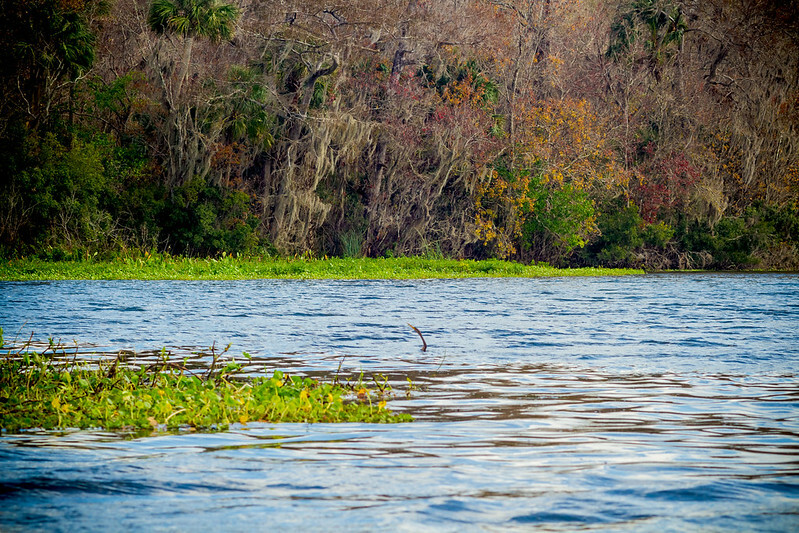 The quiet Withlacoochee offers some of the most stunning vistas of old Florida along the Tsala Apopka, a chain of freshwater lakes, marsh, cypress swamps, and pasture extending for miles in every direction. One of the best day trips to take from Orlando is to the Ringling Complex in Sarasota. This was once the base of the most notorious circus industries in the world: the Ringling Bros. During the late 19th and early 20th centuries It reached its peak and became one of the largest circuses in the US. Of the Ringling brothers, John Ringling was the most famous and charismatic. He moved the entire circus’ headquarters to Sarasota in 1929, including this lavish house called the “Ca d’Zan” (meaning “House of John” in the Venetian language). Although the Ringling Circus no longer operates, the complex is today one large complex with beautiful gardens, two circus museums, the Ca D’Zan mansion and more. You can spend an entire day exploring and come here for a picnic, weather permitting. One of Florida’s most daring places to visit is Devil’s Den. Just an hour and a half from Orlando, you’ll find this ancient spring inside of a cave. It was named by the early settlers who saw the smoke rising from the opening. Inside, you can swim and scuba dive here in an epic cave that is straight out of a movie. Reserve your place ahead as I was unable to enter as they were full after we arrived an hour after opening on a weekend. About two hours from Orlando, you’ll find one of Florida’s most charming roadside attractions. 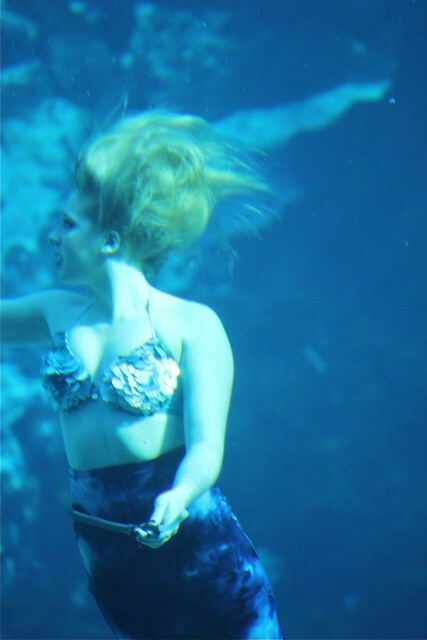 Since 1947, there has been a mermaid show where visitors can watch expert swimmers (armed with underwater air hoses) perform elaborate techniques in the water! Admission to this state park ($13 per adult) includes admission to the nearby waterpark, a viewing of the famous mermaid showing, and a boat ride. Do you have any other day trips from Orlando that you’d add to this list?